Just six months on the job, African Union (AU) Commission chief Moussa Faki Mahamat has to handle a diplomatic crisis that is causing a rift in the organisation. 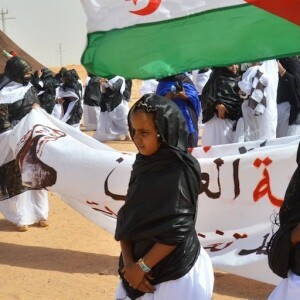 He must solve the conundrum around the participation of the Sahrawi Arab Democratic Republic (SADR) of Western Sahara in the 5th AU-European Union (EU) Summit at the end of next month. Some member states that side with Morocco in its conflict with representatives of the Western Sahara are working behind the scenes to try to exclude the SADR from the meeting to be held in Abidjan, Côte d’Ivoire. The clash over the AU-EU summit came to the fore at meeting of AU member states’ foreign ministers in Addis Ababa on 16 October. Mahamat has until 27 October to report back to member states with a solution. The SADR is recognised by less than half of the AU’s member states. Many African states that have recognised the SADR have shifted position over the years. The United Nations (UN), on the other hand, defines the Western Sahara as a ‘non-self-governing territory’ – one of 17 in the world. Renewed efforts are expected to be made for negotiations between Morocco and the Western Sahara’s representatives, the Polisario Front, following the appointment of former German president Horst Koehler as the new special representative by UN Secretary-General António Guterres last month. In January, Morocco rejoined the AU to become its 55th member. Morocco says the SADR is not a UN member – and that it doesn’t constitute a state with a clearly defined territory and a sovereign government. An observer in Abidjan said Ivorian authorities didn’t send an invitation to the SADR to attend the AU-EU summit since ‘they don’t have an address’. The Polisario Front mainly represents Sahrawis living in exile in refugee camps in Algeria. On the other hand, AU member states that strongly support the Western Sahara argue that the SADR is a fully fledged and founding member of the AU. Morocco re-entered the organisation in January knowing that the SADR was still a member. In his inaugural speech at the 28th AU summit on 31 January, Moroccan King Mohammed VI also said he realised Morocco’s return wasn’t unanimous, but that the aim of Morocco was ‘not to divide the AU’. Morocco wanted to participate fully in the agenda of the organisation, he said. Several incidents since January 2017, however, show that Morocco is still reluctant to accept the SADR as a fellow member state. The crisis around the AU-EU summit is serious given the struggle to get here in the first place. For years after the first summit in Cairo in 2000, these summits, which were supposed to take place every three years, had to be postponed because of European sanctions against Zimbabwe’s president Robert Mugabe. AU member states insisted that Zimbabwe should participate. Finally a compromise was reached and the second summit took place in Lisbon in 2007. The summit, like many similar meetings where the outside partners wanted to invite Morocco, was then labelled the Africa-EU summit. The Abidjan summit is the first to be called AU-EU. The official position of the EU – the largest funder of the AU – is that whether the SADR may attend or not is an internal AU issue. In meetings with South African officials in Pretoria earlier this month, EU officials made it clear that it was up to the AU to decide who would come to the summit. Some EU member states, however, are inclined to side with Morocco. John Kotsopoulos, senior research fellow at the University of Pretoria’s Centre for the Study of Governance Innovation, says a lot of preparation has gone into the summit that has to discuss a range of important issues. Not least of these is the fate of the Cotonou Agreement between the EU and 79 sub-Sahara African, Caribbean and Pacific Ocean states that expires in 2020. The controversial Economic Partnership Agreements with African countries and other EU funding instruments concerning Africa will also be on the table, as well as the tricky issue of migration. Kotsopoulos, an expert on Europe-Africa relations, says now that the summits are officially AU-EU summits, this can create ‘a new impetus towards sustaining and institutionalising the relationship’. The current situation clearly reveals the many inconsistencies and limits in the AU. For example, can one member decide not to invite another member to a partnership meeting without risking severe consequences? In a consensus-based organisation like the AU, how should such a situation be dealt with in future? Can one AU member decide not to invite another member to a partnership meeting without consequences? Also, coming up with a way forward on which African member states will attend the summit isn’t really part of Mahamat’s mandate. The AU Commission chairperson is legally bound to implement policy of the AU member states, not design it. Several scenarios are now possible. If a compromise can be reached, the summit could go ahead in Abidjan, with all 55 AU member states present. If, however the meeting goes ahead and the SADR is not invited, states such as South Africa and Algeria are likely to boycott the summit. An alternative option of moving the meeting to Addis Ababa has also been mooted. Morocco and others could then boycott or try to disrupt the meeting. Moving the summit at such a late stage could throw the plans of many of the participants in disarray. Some heads of state might not want to shift their plans to Addis. Going beyond the AU-EU summit, the continued strife between Morocco and the SADR could paralyse the organisation and create further rifts within the AU, which has enough other issues on its plate.